Carpenter-Carse Library in Hinesburg where my neighbor’s Mom (who I had just met on Memorial Day) had recently retired and they’d named the Large Print section after her. Lawrence Memorial Library in Bristol where I met Nancy and she let me go up to the creepy attic, a place she’d never seen even though she’d worked there for 27 years. 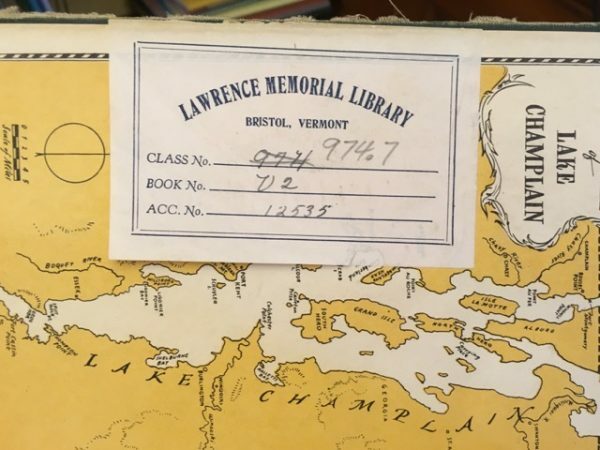 I peeked in a lot of old books, talked to a bunch of nice people, stayed on top of my email and really felt like I’d gotten to know more of Vermont through its libraries. 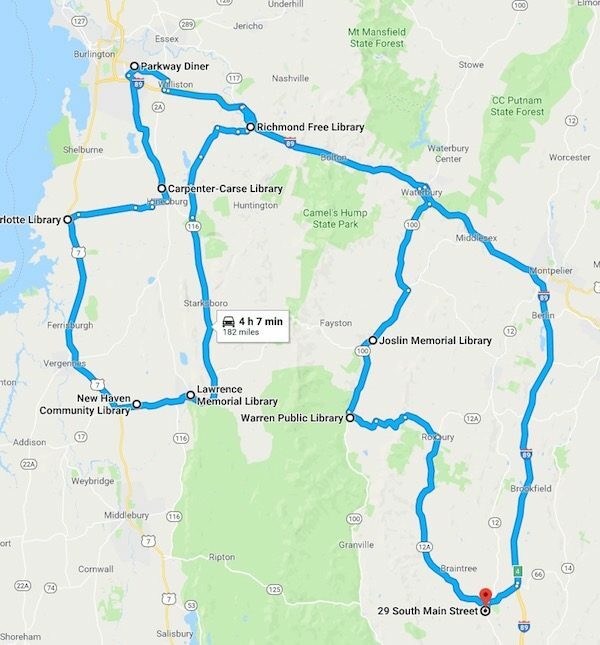 And it gets me jazzed about figuring out ways I can do more things that are helpful, that use my particular skills to get things done for libraries. My little photoset, which should eventually have 183 photos, is over on Flickr.